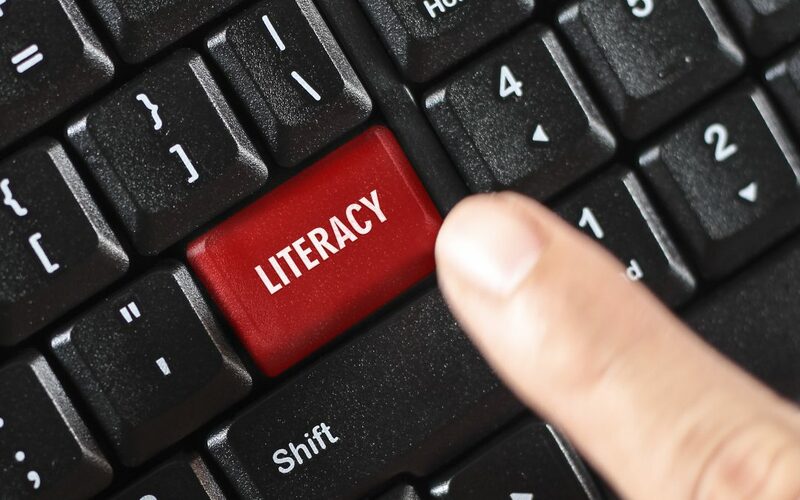 Literacy Literally Matters: Instructional Designers, We Have More Than One Intelligence. One of them is Literacy. Howard Gardner the Hobbs Professor of Cognition and Education at Harvard had a radical idea in the seventies and, “By 1981, I was claiming that all human beings possessed not just a single intelligence, rather we humans are better described as having a set of autonomous intelligences.” That is from Gardner’s seminal book, Frames of Mind. High School graduates can’t seem to read and write. A survey of professors done by the Chronicle of Higher Education in 2006 reported that 91 percent thought their students were not very well prepared in writing, 89 percent said they were not very well-prepared in reading, and 91 percent said they were not very well-prepared with research skills which involve literacy. The National Commission on Writing in the Schools, working with the Business Roundtable, which surveyed member companies discovered in 2006 that businesses in the USA spend $3 billion annually on remedial writing. That probably has not gone down in the past decade. According to the Literacy Company Forty Six of all Americans cannot understand the label on a prescription medication. According to the 2003 National Assessment of Educational Progress (NAEP), 37 percent of fourth graders and 26 percent of eighth graders cannot read at the basic level; and on the 2002 NAEP 26 percent of twelfth graders cannot read at the basic level. That is, when reading grade appropriate texts these students cannot extract the general meaning or make obvious connections between the text and their own experiences or make simple inferences from the text. In other words, they cannot understand what they have read. The implications for businesses and Instructional Designers in particular are obvious. The schools are not teaching literacy at anywhere near the level it needs to be, so businesses must. Literacy Saves Money. Illiteracy Costs Money. Poor communication habits are still present in many organizations. It leads to issues of employee disengagement and low morale. One study showed that 38% of failed IT projects were a result of poor communications. In 2010 a budget analyst caught a communication error that would have cost New Jersey $200m. Instructional Designers are best positioned to teach clear communications. The downside of inadequate communication skills is too great to ignore. What is the purpose of written communication? It is a deliberate and intentional attempt to transmit an idea or information from one person to other person(s) without distortion. The meaning that the sender intends is the meaning that the receiver receives. To do this a certain amount of common understanding has to exist between the writer(s) and the reader(s). If the conventions of grammar are understood differently by both parties involved in information-sharing, then the chance for error goes up. Take punctuation for example. Lynne Truss’ book a huge bestseller is predicated on the fact that grammar is vital to clear communications. “A woman without her man is nothing.” Or “A woman: without her, a man is nothing.” Two punctuation marks and it is a completely different message! So, the first point to understand is that even a profound, well thought-out message delivered in a poor or confusing style will obscure the message. Style must clarify and be unambiguous. It is not my purpose, however, to now write the rules of grammar for you to study. It is my hope that you will, however. And this is the best little book for just that purpose. You may not have paid much attention to writing style in school but the risks and penalties for obscurity in communications are much higher in business than when you were sitting for your high school exams. What Can Instructional Designers Do? Is It Your Responsibility To Teach Literacy? If You Think You Could Be Doing More Read On. The content or Message or idea the writer(s) wishes to convey. The Style of the writing, which is another way is saying how to be clear. The only way to address a problem is through critical thinking. The best way to think critically is in a group. The only acceptable outcome of critical thinking in a group is consensus. The message, content or idea that needs to be developed and then communicated is my area of expertise – Cognitive Writing – and I will delve into how a problem can be identified, a resolution shaped, a consensus achieved and communicated. Critical thinking is asking questions; answering them; and then questioning the answers repeatedly. Sort of like Jeopardy. In true critical thinking a problem is posed, a solution is proposed and then the proposed solution is further interrogated. One of the better examples of critical thinking in a group is Toyota’s “Five Whys.” A part is found to be defective. Why? Answer. Why again? And so on. Microsoft calls it “drilling down.” Five questions usually gets the to the root problem. Communicating that solution is a matter of style. But style will matter less if the idea is sound. Of course a blunder in grammar can sink the idea completely.